The occupant of the third place, Bitcoin Cash will not be the subject of this article, being a Bitcoin derived from Segwit. Basically there is not much to say about Bitcoin Cash. An article of this type was absolutely necessary. There are a lot of people on Crypto Market who don’t not know anything about XRP. A market study conducted in the United States showing that 67% of Americans didn’t hear about ETH. Probably if a study on the XRP currency is made, the percentage of those who have not heard about the currency would rise to 75-80%. Ripple is a payments network built on blockchain that provides one, frictionless experience to send money globally. 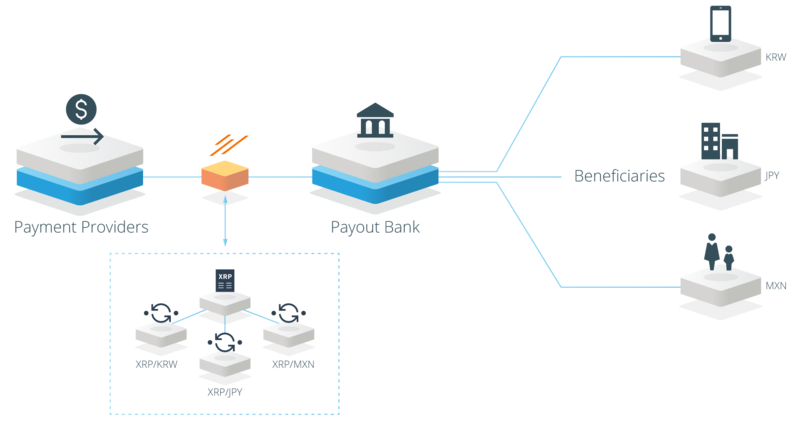 Unlike existing siloed networks, Ripple powers payments across networks with unmatched global reach for real-time payments at the lowest cost. XRP is a digital asset that can be used on the Ripple network to lower liquidity costs while minimizing settlement risk and delays. Being built for commercial use, XRP provides banks and payment providers with a first on-demand liquidity option for cross-border payments. It is the fastest and most scalable digital asset that allows real-time global payments. Currently over 100 institutions use Ripple cross-border payment technology. In the summer of this year, Ripple created a suite of three tools specifically designed to be used for cross-border payments. One of them, XRapid is the liquidated XRP provider. The day before the Swell conference, Ripple announces that: “In a precedent-setting moment, Cuallix has become the world’s first institution to use xRapid – Ripple’s solution that uses XRP as a liquidity tool – to reduce the cost of sending cross-border payments from the US to Mexico“. We can say that the use of Ripple cross-border payment technology and currency XRP reduces money transfer costs by 60% compared to Swift class transfers. Also such transfer takes 4 seconds while the classic Swift transfer takes between 3 and 5 days. In October 2017, Ripple launched the RippleNet Accelerator Program to increase the XRP volume and utility. The value of this program is 300 million dollars. Ethereum is a decentralized platform that runs smart contracts: applications that run exactly as programmed without any possibility of downtime, censorship, fraud or third party interference. In the Ethereum protocol and blockchain there is a price for each operation. The cryptocurrency is called Ether and is used to pay for computation time and for transaction fees. So, is it like Bitcoin? Well, yes and no. The two share the fact that they were built using public network technology – known as blockchain – but here is the similarity between them. Bitcoin offers a single application, a peer-to-peer electronic currency exchange system that allows for online payments, that is, in other words, a coin in its purest form. While Bitcoin uses blockchain technology to identify Bitcoins, Ethereum uses a blockchain as a platform to run virtually any decentralized application. One of the most popular uses of the Ethereum platform, is the design and issuance of its own cryptocurrency. 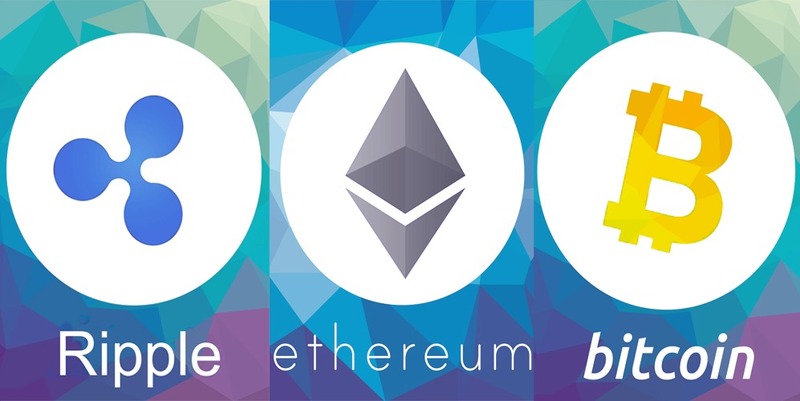 Many of the coins currently in existence on Crypto Market were created using the Ethereum blockchain platform. This year, Ethereum had a hardfork upgrade, called Metropolis (Ethereum 3.0). Bitcoin is the entry currency on the Crypto Market. Most coins currently on Crypto Market can be bought with Bitcoin. Now it is “fashionable” to invest in Bitcoin. Also, worldwide, Bitcoin is well-known. At present, there are a lot of companies and sites in the world that accept Bitcoin as a payment method. There are many, so I will list only the most famous: WordPress.com, Subway, Microsoft, Reddit, Pirate Bay, Virgin Galactic, OkCupid, Namecheap, CheapAir.com, Expedia.com , Gyft, Wikipedia , Overstock.com, Newegg.com and Steemit. And yet, Bitcoin is far from global adoption. 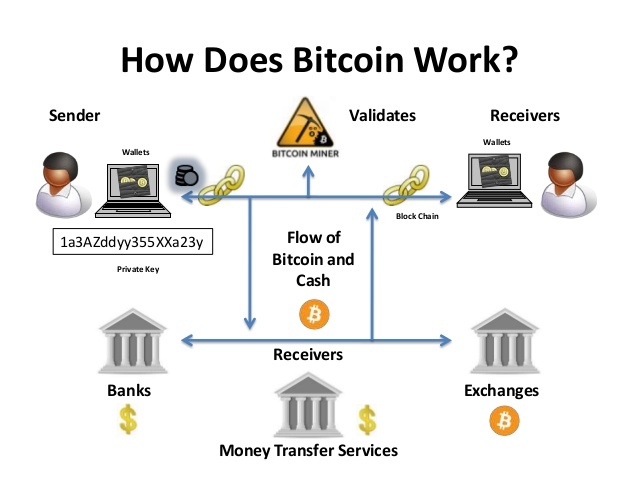 Bitcoin has problems in terms of transfer costs, especially in low-value transfers. To transfer the 50$ bitcoin, the transfer fee is 5$. This year, as a result of misunderstandings between developers and the mining community, Bitcoin suffered two segwitts resulting in Bitcoin Cash and Bitcoin Gold. This year, Bitcoin had an upgrade called Lightning. As you have seen, each of the three virtual currencies has a different field of activity. None of the three coins are direct competitors. The only thing they have in common is the blockchain technology. Let’s not forget that of the three coins, the least known in mainstream is Ripple. To get good returns (ROI) on Crypto Market, it’s better to buy a coin when its price is underestimated and has not entered the mainstream. That’s why I think it’s the best investment for holding for 3-5 years. The best example is Ethereum. Who bought this currency two years ago, when his price was 0.5 USD and had patience, had the opportunity this year to sell it with 400 USD. This is an incredible ROI (%) that can not be earned on any capital market in the world. XRP may have a similar evolution when it enter the mainstream, in the coming years. We hope all three currencies will develop positively in the years to come. And that’s because Crypto Market is a young and emerging market. 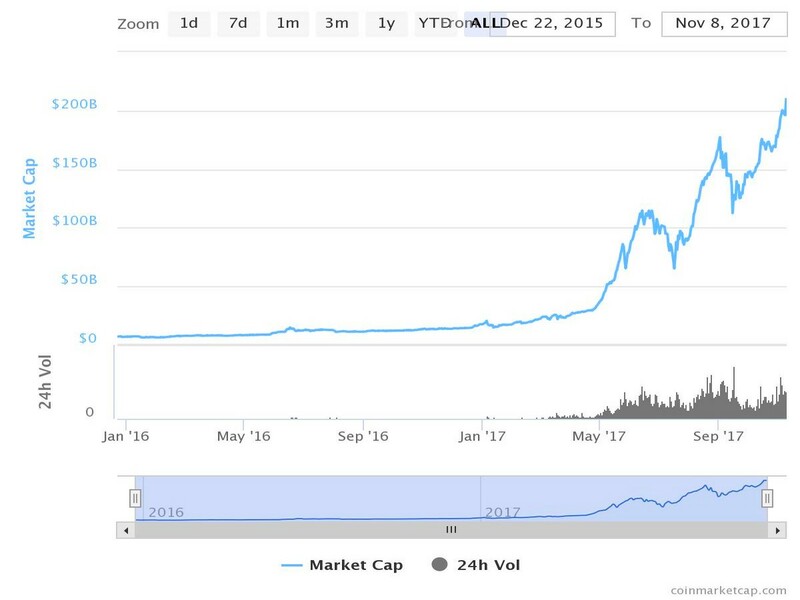 Below, you can see a graph with the general capitalization of Crypto Market, starting in 2016. Crypto Market will attract more and more money from other capital markets. Here I am referring especially to money drawn from Forex and Stock Market. Why would a Forex trader migrate to the Crypto Market? Because Forex is the most risky market. Because on Forex, money is hard to win and easy to lose. A Forex trader would find it easier to make money on the Crypto Market. Why would a Stock Market trader migrate to the Crypto Market? Because the Stock Market has very low ROIs at this time. Thank you. You made it so easy to understand…. wish you have an unforgetable Merry Christmas. Maybe I should go from Bitcoin to Ripple? Seem like Ripple is the way to go.